Mega Man was the coolest robot ever for the Nintendo Entertainment System. Even R.O.B. couldn’t compete with the blue arm-cannon equipped hero. Beyond Mario and Zelda games, Mega Man was arguably the next series worth the investment for the classic 8-bit console. For whatever reason, I didn’t have the popular Mega Man games at the time. I had played them through rentals and at a friend’s house, but they just weren’t in my NES collection. Sad but true, Mega Man Soccer was the first of the series I got for a Nintendo console. How, then, did I scratch the megabuster itch from time to time? Through the completely forgotten to time DOS games. 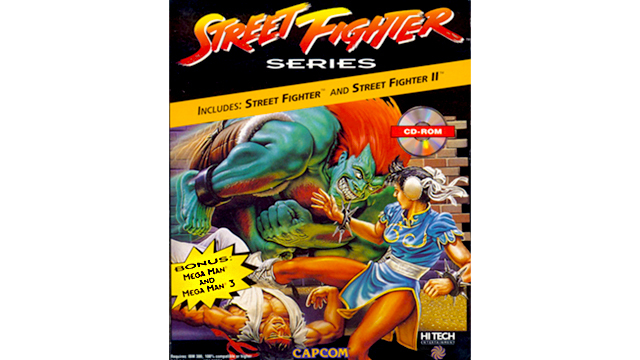 There was a popular CD-rom in the mid-90s that featured Street Figther II. Like most gaming fans at the time, I got it because one of the bonus games was Street Fighter. I. One. As in, the first one. Before there were fifty million spin-off games called Street Fighter II. It was, of course, a horrible let down, but I was excited to see the disc also included two Mega Man games. I had no idea they ported them to PC, so that felt like a value added bonus at the time. Then I installed the games. Wow. The first one had very little to do with the NES series. It played more like a bootleg. Instead of a ported game, it was an entirely new Mega Man game. This, unfortunately, means some mega fan completists feel obligated to play this one. I knew something was off when the game didn’t start at the stage select screen. It just got worse from there. No music. None. Despite having the sound set to on, one of the coolest features of the NES games just doesn’t exist on the DOS game. After letting a robo-dog attack you on the first stage in awkward silence, there is finally a level select screen. 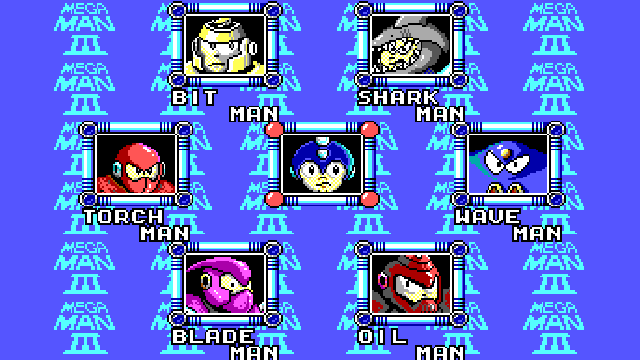 The artwork on these new robot masters doesn’t really match the rest of the Mega Man games. The look on Mega Man’s face says it all: Not impressed. The awkward art isn’t limited to the select screen, either; it carries through to the boss fights, as well. After beating a boss, Mega Man receives a magical calculator to enhance his abilities. Something is also really off about the way Mega Man moves in these games. Every time I played it, I thought it was running too fast because he would dart up and instantly back down when jumping. Maybe my 286 was just too much computer for this game in the 90s. To be fair, the end credits reveal that the design, graphics, programming, and sound were all credited to one person. Capcom is only credited as “Mega Man Concept”. That’s a lot of work for one person to pull off, so I applaud the programmer’s efforts. Of course, I didn’t have that kind of appreciation for hard work when I was a kid who just spent twenty bucks on a CD-rom. 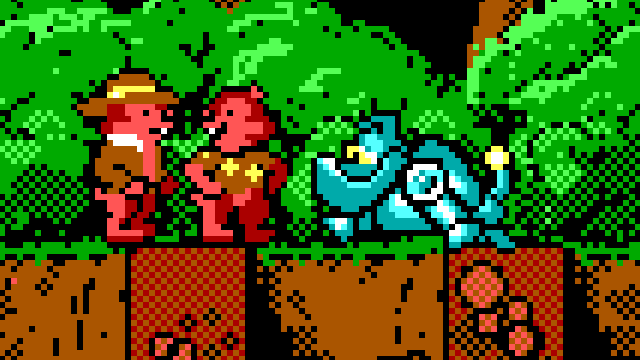 If only I had realized the game was published by Hi-Tech Expressions, the company behind the Chip ‘N Dale Rescue Rangers game I had on 5.25” floppy disk, I might have passed on the purchase. The other Mega Man game is Mega Man 3: The Robots are Revolting. No, there is no Mega Man 2. 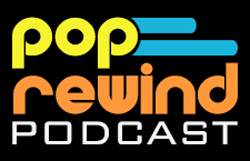 It skips an installment, likely doing players a favor. This time, there is another round of made up characters. 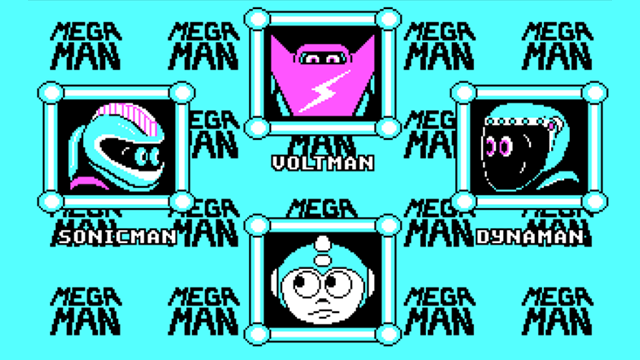 Why even call this Mega Man 3? There’s no Snake Man, no Gemini Man, so what’s the point? Instead you get to play off against Shark Man and Bit Man. 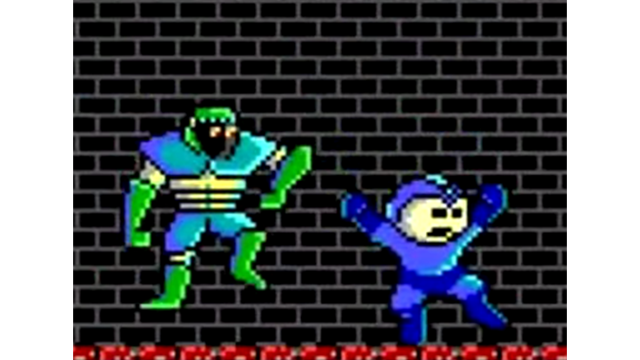 Surprisingly, Mega Man 10 would see the return of Blade Man from this DOS entry nearly two decades later. Mega Man 3 is more of the same as the last entry. The most interesting level is Shark Man’s because it gives Mega Man the ability to swim (or at least until physics go out the window when walking on the ocean’s floor). It’s reminiscent to the swimming level from the first Ninja Turtles game on NES. While these were technically Mega Man titles, they weren’t really a substitute for the NES classics. For some people, this is the only Mega Man experience they ever had. For me, there were these… and Mega Man Soccer. Yeah, which would you have played more? Author: Lee Pop Lee plays video games, writes articles, and won't stop talking about his favorite bands.